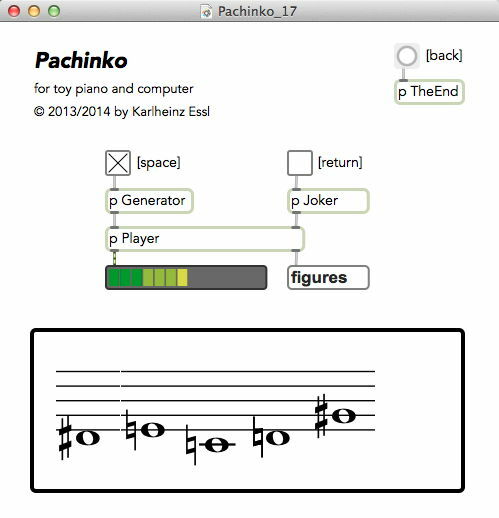 Pachinko is a composition for a toy piano and computer, performed by a single player. It refers to a pinball game widely played in Japan where small metal balls cascade down through a dense forest of pins, creating an avalanche of noise. Due to the nature of such gambling devices, chance plays an important role. However, in this very piece, one can never lose but only win. And this applies to the audience as well. 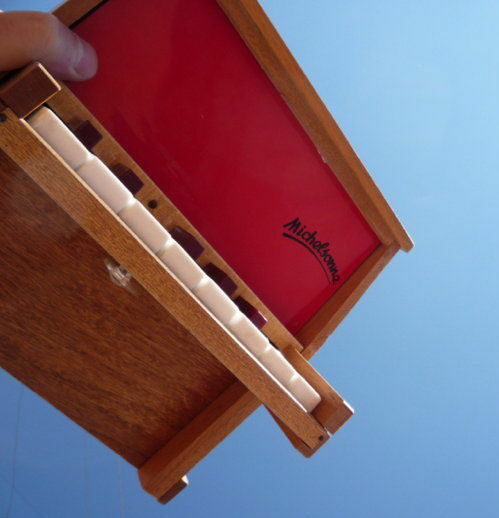 The piece was written for a small Michelsonne one-octave toy piano with only 13 keys, but it can also be performed on other sizes and brands just as Schoenhut. It is accompanied by a laptop computer (MacBook Pro) which runs a special software written in MaxMSP. This programme plays a toy piano part on its own, created inside the computer in real time. The performer can start and stop the generating process by pressing the space bar on the computer keyboard. For each musical phrase (which can be started or stopped at any time by the performer), a certain selection of notes is used. It is displayed in musical notation in the main window of the program. The player reacts on the computer's playing by using only the pitch material that is shown on the screen, improvising a dialogue with the computer. At any time s/he can stop the computer, or start another process. The phrases of the computer and the performer can overlap or interrupt each other, creating a lively and energetic dialogue between the toy piano (played by a musician) and the computer (controlled by the musician as well). At certain times – which are left to the discretion of the player – a so-called "Joker" can be called. This is achieved by pressing the return key on the computer keyboard, resulting in a furious cascade of notes. Press the return key again to stop this sound. Note that the joker must be used with care. Don't overuse it! To begin the piece, press the space bar and let the computer play first. Then you can start playing the toy piano, using only the notes that are displayed on the computer screen. Use them in any order, creating a variety of musical gestures with them. Always listen what the computer is playing, and react to it in a creative way. Frequently start and stop the computer phrases, allowing different lengths. Don't forget to make pauses as well. At the right moment, press the return key for starting the Joker. Don't forget to stop it after a few seconds by pressing the same key again. When you want the piece to finish, just press the backspace key of your computer keyboard in order to create a soft fade out of the electronics. Put the toy piano and the laptop close to each other, so that the instrument can be operated by the right hand, and the computer keyboard with the left (or vice versa). You can use the built-in loudspeaker of the computer or a small, battery-powered external loudspeaker (like a JBL Micro II), placed near the computer. It is recommended that the performer is standing while playing. 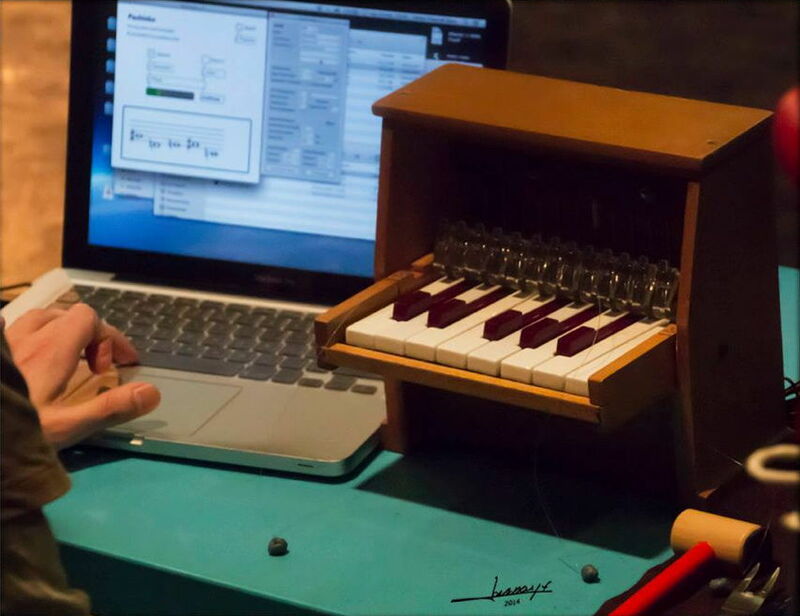 In this case, the toy piano and the laptop should be placed on a (percussion) table. The software for running Pachinko requires an Apple laptop (MacBook Pro or MacBook Air) with Mac OS X 10.8 or better. Set the audio volume of the computer to the maximum. Double-click on the file name Pachinko-12.app to open the programme. After startup, go to the "Audio Status" window and turn Audio "On". Close this window afterwards. To start a phrase, press the space bar. To stop it, press the same key again. To evoke the "Joker", press the return key. To stop it, press the same key again. To end the piece, press the backpace key in order to evoke a soft fade out. The computer program (Apple only) required for performing this piece is available on request. in: positionen. Texte zur aktuellen Musik, Bd. 99: Generative Kunst, hrsg. 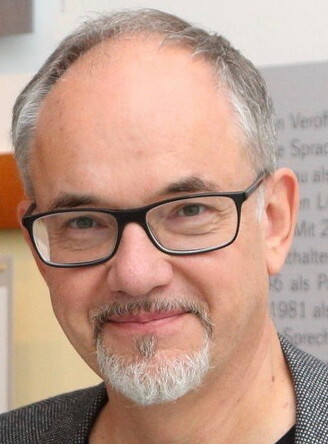 von Gisela Nauck (Berlin 2014), p. 22-22.